Draft: 2010, New York Yankees, 4th rd. In 2018 was a mid-season International League All-Star...in 2013 played in the Arizona Fall League's Rising Stars Game...for 3 consecutive seasons from 2011-2013 was rated by Baseball America the fastest baserunner, best athlete and best defensive outfielder in the Yankees' organization...in 2012 was a mid-season South Atlantic League All-Star...in 2011 was a mid-season New York-Penn League All-Star, an MiLB.com Organizational All-Star, a TOPPS Short-Season/Rookie All-Star, TOPPS' NYPL Player of the Year and a Baseball America Short-Season All-Star. 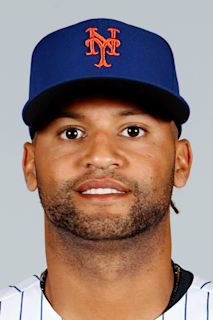 Graduated from West Orange High School in Winter Garden, FL...before signing with the Yankees was committed to play at the University of South Carolina...father is Derwin Williams, a former wide receiver for the New England Patriots...is not active on Twitter. Began the season at Louisville...joined RHP Kevin Quackenbush and RHP Tanner Rainey as the Bats' mid-season International League All-Stars...was promoted on 7/26, when OF Jesse Winker was disabled with a season-ending shoulder injury, and spent the rest of the season with the Reds...for the Reds made 18 starts in RF, 5 starts in CF and 4 starts in LF...at Louisville made all 83 of his starts in CF...from 7/27-8/24, during RF Scott Schebler's second stint on the disabled list, started 18 of the Reds' 26 games (17gs in RF, 1gs in CF)...hit safely in 13 of those 18 starts (.279, 4 2b, 1 3b, 1hr, 5rbi, 6r)...on 7/26 vs Phi pinch hit in his Reds debut and first Major League appearance since 6/25/17 for NYY vs Tex...on 7/27 vs Phi made his second appearance for the Reds and first start, played RF and in the fourth inning hit a 3-run HR off Nick Pivetta that snapped the 2-2 tie...was his second career HR (6/12/15 at Bal, 2-run off Ubaldo Jiménez, his first career hit)...hit safely in each of his first 4 starts (6-15, .400, 1hr, 3rbi)...the 4-game hitting streak was his longest of the season and tied his career high...in the seventh inning of the 6-2 loss on 9/6 vs SD hit his first career pinch-hit HR (solo off Trey Wingenter)...after the Triple-A All-Star Game break, for the Bats hit safely in 12 of his 13 apps prior to his 7/26 promotion (.362, 4 2b, 2 3b, 3rbi, .474obp, .532slg, 1.006ops)...on 11/2 cleared waivers, refused an outright to Louisville and elected free agency...on 12/17 agreed to terms on a minor league contract with an invitation to 2019 Major League spring training camp. Spent most of the season with the Yankees' Class AAA affiliate in Scranton/Wilkes-Barre...made all 5 of his apps for the Yankees from 6/16-6/25...hit safely in 4 of his 5 apps...on 6/29 was designated for assignment...cleared waivers and on 7/6 was outrighted to S/W-B, where he finished the minor league season...became a free agent following the season and on 11/16 was signed by the Reds to a minor league contract with an invitation to 2018 Major League spring training camp, November 16, 2017. Hit .296 (8-for-27) with 4R, 1 double and 2RBI in 12 games (4 starts in RF, 2 in CF and 1 in LF) with the Yankees. Began the season on the 15-day D.L. recovering from right labrum surgery performed in 2015 (placed on the D.L. on 4/3, retroactive to 3/25)…was transferred to the 60-day D.L. on 5/14…began a rehab assignment on 7/2 and hit .304 (14-for-46) with 2R, 2 doubles, 1 triple and 1RBI in 12 combined games with the GCL Yankees East and Single-A Tampa…was returned from rehab, reinstated from the 60-day D.L. and optioned to Triple-A Scranton/Wilkes-Barre on 7/18…was recalled on 9/14. Hit safely in five of his seven starts (including each of his first five from 9/16-25), batting .320 (8-for-25) with 4R, 1 double, 2RBI and 1BB in those seven starts…made his first start of the season (in RF) and was 2-for-3 with 1R in 9/16 loss at Boston (removed for PH Butler in the ninth). In 31 games with Scranton/WB, hit .296 (37-for-125) with 19R, 8 doubles, 1 triple and 23RBI…in four playoff games, hit .412 (7-for-17) with 3R, 1HR and 3RBI. Saw his first Major League action, batting .286 (6-for-21) with 3R, 3 doubles, 1HR and 3RBI in eight games (seven starts in CF) with the Yankees...Was recalled from Triple-A Scranton/Wilkes-Barre on 6/11 and made his Major League debut in 6/12 loss at Baltimore, starting in CF...was 1-for-2 before being removed for a pinch-hitter (Young) in the sixth...recorded his first Major League hit on a two-run home run off Ubaldo Jimenez in the fourth, becoming the seventh Yankee since 1980 to homer as his first Major League hit (last, Zelous Wheeler on 7/3/14 at Minnesota)...Recorded his first career multi-hit game in 6/18 win vs. Miami, going 2-for-4 with 1R, 2 doubles and 1BB...with his two doubles, became the 14th Yankee since 1914 to record a multi-double game within his first seven career games and the first since Yangervis Solarte (2 doubles in both his third and seventh career games in 2014)...had four extra-base hits (3 doubles, 1HR) though his first seven games, tied for the third-most by a Yankee through seven career games since 1914 (also Solarte - 6 in 2014 and Steve Whitaker - 6 in 1966)...Was 1-for-2 with 1R in 6/19 win vs. Detroit before being removed defensively in the sixth with a jammed right shoulder suffered sliding back to first base...Was placed on the 15-day disabled list with right shoulder inflammation on 6/21 (retroactive to 6/20)...was transferred to the 60-day D.L. on 7/11...underwent season-ending right shoulder arthroscopy on 8/7 at NewYork-Presbyterian Hospital...the surgery was performed by Yankees Head Team Physician Dr. Christopher Ahmad...was reinstated on 11/4...Began the season with Double-A Trenton, batting .317 (38-for-120) with 14R, 7 doubles, 11RBI and 11SB in 34 games...was promoted to Scranton/WB on 5/21 and hit .321 (26-for-81) with 12R, 7 doubles and 11RBI in 20 games with the RailRiders. Spent the entire season with Double-A Trenton, batting .223 (113-for-507) with 67R, 18 doubles, 5HR and 40RBI in 128 games…led the team in runs scored and stolen bases (21), ranked second in games played andt hird in hits…ranked fourth in the Eastern League in at-bats... Was added to the Yankees' 40-man roster on 11/20/14. Combined at Single-A Tampa and Double-A Trenton to bat .245 (117-for-478) with 24 doubles, 4 triples, 4HR, 28RBI, 63R and 40BB in 117 games…stole 15 bases in 24 attempts (62.5%)…played his first 100G with Tampa, where he hit .261 (106-for-406) and ranked second on the team in hits and runs scored (56)…hit .406 (26-for-64) during a 15-game hitting streak from 6/29-7/25…batted .319 (53-for-166) in June and July (41G)… was promoted to Trenton on 8/15, hitting .153 (11-for-72) in 17G…following the regular season, hit .267 (23-for-86) with 6 doubles in 22G with the Scottsdale Scorpions of the Arizona Fall League…hit .293 (12-for-41) during a 10-game hitting streak from 10/16-11/1…batted .400 (10-for-25) vs. lefties in the AFL…following the season, was tabbed by Baseball America as the No. 3 prospect in the Yankees organization, as the "Fastest Baserunner", the "Best Athlete" and the "Best Defensive Outfielder"…was ranked by MLB.com's "2013 Prospect Watch" as the No. 2 prospect in the Yankees organization, as well as the 37th-best prospect and the 10th-best outfield prospect in all of baseball. Split time with Single-A Charleston and Tampa to hit .298 (107-for-359) with 22 doubles, 4 triples, 11HR and 35RBI in 91G… started the year at Charleston and hit .304 (84-for-276) with 8HR, 28RBI, 55R, and 19SB in 69G… was named SAL "Player of the Week" on 6/25… was also named a SAL midseason All-Star… was promoted to Tampa on 7/3 and hit .277 (23-for-83) with 3HR in 22G… following the season, was tabbed by Baseball America as the No. 1 prospect in the Yankees organization, as the "Fastest Baserunner," the "Best Athlete" and the "Best Defensive Outfielder"… was also named an Organization All-Star by MiLB.com… was also tabbed by MLB.com as the No. 41 overall prospect in all of baseball. Batted .349 (94-for-269) with 11 doubles, 6 triples, 3HR and 31RBI in 68G with short-season Single-A Staten Island, earning a spot on the NYPL All-Star squad… led the league with a franchise-record 94H, surpassing Eduardo Nunez's record of 88 (2005)… ranked second in all shortseason leagues in hits… also set a team record with 28SB, breaking the previous mark of 23 shared by Jimmy Paredes (2009) and Seth Taylor (1999)… ranked second in the league in BA and total bases (126)… hit .333 (7-for-21) in 5 postseason games… following the season, was named a Topps 2011 Minor League Player of the Year and was tabbed by Baseball America as the top prospect in the NYPL… 2010: Made his professional debut with the GCL Yankees, appearing in 5G and batting .222 (4-for-18)… tabbed by Baseball America as the "Fastest Baserunner" in the Yankees organization. March 31, 2019 OF Mason Williams assigned to Norfolk Tides. March 28, 2019 Baltimore Orioles signed free agent OF Mason Williams to a minor league contract. March 19, 2019 Louisville Bats released CF Mason Williams. January 9, 2019 CF Mason Williams assigned to Louisville Bats. December 17, 2018 Cincinnati Reds signed free agent CF Mason Williams to a minor league contract and invited him to spring training. November 2, 2018 RF Mason Williams elected free agency. November 2, 2018 Cincinnati Reds sent RF Mason Williams outright to Louisville Bats. July 26, 2018 Cincinnati Reds selected the contract of RF Mason Williams from Louisville Bats. January 22, 2018 CF Mason Williams assigned to Louisville Bats. November 17, 2017 Cincinnati Reds signed free agent CF Mason Williams to a minor league contract and invited him to spring training. November 6, 2017 CF Mason Williams elected free agency. July 6, 2017 New York Yankees sent CF Mason Williams outright to Scranton/Wilkes-Barre RailRiders. June 29, 2017 New York Yankees designated RF Mason Williams for assignment. June 26, 2017 New York Yankees optioned RF Mason Williams to Scranton/Wilkes-Barre RailRiders. June 16, 2017 New York Yankees recalled Mason Williams from Scranton/Wilkes-Barre RailRiders. March 16, 2017 New York Yankees optioned RF Mason Williams to Scranton/Wilkes-Barre RailRiders. September 14, 2016 New York Yankees recalled Mason Williams from Scranton/Wilkes-Barre RailRiders. August 13, 2016 Scranton/Wilkes-Barre RailRiders activated CF Mason Williams from the 7-day disabled list. July 31, 2016 Scranton/Wilkes-Barre RailRiders placed CF Mason Williams on the 7-day disabled list. July 18, 2016 New York Yankees optioned CF Mason Williams to Scranton/Wilkes-Barre RailRiders. July 18, 2016 New York Yankees activated CF Mason Williams from the 60-day disabled list. July 4, 2016 New York Yankees sent CF Mason Williams on a rehab assignment to Tampa Yankees. July 2, 2016 New York Yankees sent CF Mason Williams on a rehab assignment to GCL Yankees East. May 14, 2016 Mason Williams roster status changed by New York Yankees. November 4, 2015 New York Yankees activated CF Mason Williams from the 60-day disabled list. June 11, 2015 New York Yankees recalled CF Mason Williams from Scranton/Wilkes-Barre RailRiders. June 11, 2015 New York Yankees activated CF Mason Williams. May 21, 2015 CF Mason Williams assigned to Scranton/Wilkes-Barre RailRiders from Trenton Thunder. March 19, 2015 New York Yankees optioned CF Mason Williams to Trenton Thunder. November 20, 2014 New York Yankees selected the contract of Mason Williams from Trenton Thunder. January 29, 2014 New York Yankees invited non-roster CF Mason Williams to spring training. August 15, 2013 CF Mason Williams assigned to Trenton Thunder from Tampa Yankees. March 20, 2013 OF Mason Williams assigned to New York Yankees. September 20, 2012 Mason Williams roster status changed by Tampa Yankees. July 29, 2012 Tampa Yankees placed OF Mason Williams on the 7-day disabled list retroactive to July 26, 2012. July 3, 2012 OF Mason Williams assigned to Tampa Yankees from Charleston RiverDogs. April 4, 2012 Mason Williams assigned to Charleston RiverDogs from Staten Island Yankees. March 18, 2012 OF Mason Williams assigned to New York Yankees. June 17, 2011 Mason Williams assigned to Staten Island Yankees from GCL Yankees. August 20, 2010 Mason Williams assigned to GCL Yankees from New York Yankees. August 16, 2010 New York Yankees signed OF Mason Williams.